40% off T-shirts & WICKING SHIRTS! – Zombies, Run! 40% off T-shirts & WICKING SHIRTS! From today, we’ve cut the price of all T-shirts in our current shop from $25 to just $15 – that’s a 40% discount! The sale will last until stocks run out, which will be soon, so check it out! (and we’ve also restocked some popular shirts that had previously run out). 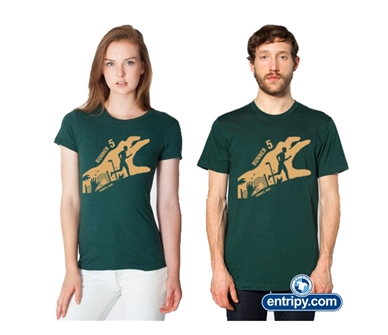 But what’s even more exciting is that we’re opening a NEW shop today at zombiesrun.entripy.com that has two new T-shirt designs, plus the long awaited moisture-wicking T-shirts for runners! 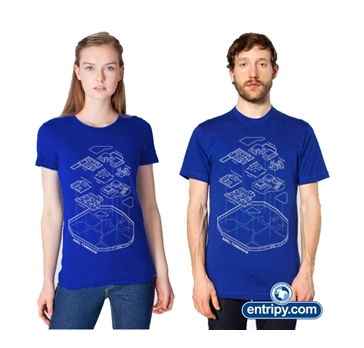 Our artist Estee Chan created this wireframe Abel Township shirt that comes in Lapis American Apparel. Estee also created a fun Zombie Hand shirt that comes in Forest Green American Apparel. And here’s what you’ve been waiting for: the moisture wicking Runner 5 shirt, coming in three new colours of Navy, Orange, and Forest Green! 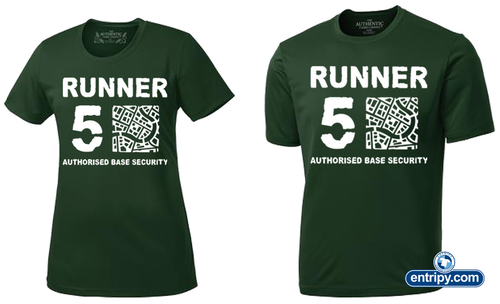 So if you’ve been waiting to get proper Runner 5 gear, there’s never been a better time!